Can we talk about how we can lap our efforts? Thank you for affording me this moment to share. So many have been a guiding light and inspiration for me in my work with LAP for the past seven years. That grew out of my science/economics background, my acting/music/tv/celebrity experience and my native american/environmentalist activism. 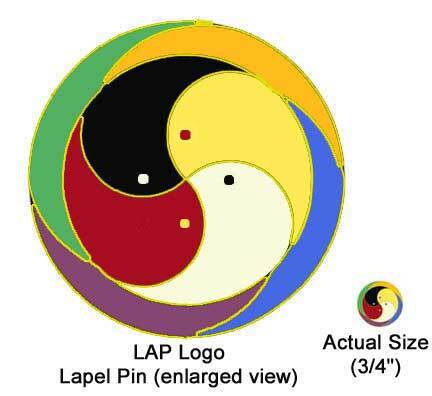 Basically LAP is a metaphor and a "macronym" meaning one acronym for the many components of the community LAP, all of which are producing and transforming each other as happens in any living system. The notion of the metaphor: Each of us has a lap, an environment we can create with the right support/connection to mother earth, for storytelling, teaching/learning, wisdom sharing through the cycle of generations. A domain of care, charge, control and responsibility. Where is the lap of the community? In the constellation of metaphors that includes the invisible hand of the marketplace, the social safety net, the information super highway, the american dream and others. The visible lap of the community is made up of local access participants, places, platforms, programs, purpose, policies, principles (love and peace, language and process, laughter and passion, life and people, literacy-artistry-poetry, lens-aperture-perspective, legality-accountability-proactivity, looking at possibilities, leadership-authorship-partnership, leveraging all participation, linking alternate paradigms), local access philosophy (the fulfillment of needs and aspirations that enhances the chances for new generations). Ok, so the word play grows out of and represents the reflection which, alone, can become mere verbalism. The action part, for me, has been to stay on the learning curve around the common good, always "accelerating" toward the center, building relationships by exploring (over)laps and keeping in mind the LAP OM (Organizing Metaphor) or MO if you prefer. That is sometimes called a lap circle. If a group of people form a circle standing shoulder, all turn so that each is watching the back of the one in front and each has someone watching his back, and if all together, seeing the potential and having the trust (the currency of social capital), sit at once the circle will self support. On that learning curve, from the rez to the pres, from neighborhoods to national agencies, from silos to sectors, from individual to international, grass roots to global efforts, I have seen the e-mergent "C's" of coordination, cooperation, collaboration, communication, community, conscillience, caretaking and caregiving) that are creating community. On air, on line, on land and on the level, now, given the necessary activation energy for the processes for which you and I and many others seek to be catalysts. "...a new scientific understanding of life at all levels of living systems-organisms, social systems, and ecosystems...based on a new perception of reality that has profound implications not only for science and philosophy, but also for business, politics, health care, education, and everyday life." "Today, a new paradigm and new era of myth are beginning to unfold... reflecting a new stage of human consciousness as it wrestles with an evolving global community, the unfolding environmental crisis, and progressive democratization. The new paradigm and emerging myths are reflecting a mutualism and interconnectedness of all aspects of the earth. The concomitant education must reflect the teaching/learning process and content appropriate for such new myth making".